Singer/dancer Paula Abdul and producer Simon Cowell arrive at the first round of auditions for Fox's "The X Factor" at Galen Center on May 8, 2011 in Los Angeles, California. *Paula Abdul has officially joined the judging panel of Simon Cowell’s upcoming singing competition series “The X Factor,” reuniting with her former ‘American Idol” colleague on a panel that will also Brit Cheryl Cole and Antonio L.A. Reid. Abdul, 48, took part in the show’s first judging session on Sunday, according to Fox. “This show would never have been the same without Paula,” Cowell told the BBC. 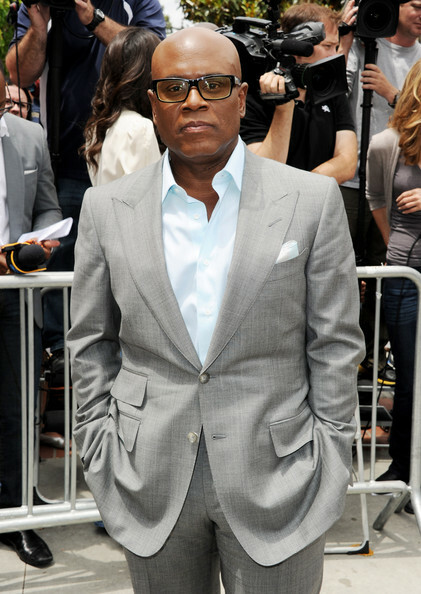 Record producer L.A. Reid arrives at the first round of auditions for Fox's "The X Factor" at Galen Center on May 8, 2011 in Los Angeles, California. Abdul said she was “excited beyond words” about her new role. “I’m delighted and grateful to be sitting next to Simon again, but you might want to check back with me in a week or two,” she added. The talent show is open to solo singers and groups from the age of 12 upwards. Pussycat Dolls singer Nicole Scherzinger, who appeared as a judge on the UK version of the show last year, will co-host the American version with Welsh TV presenter Steve Jones. Come on now!!! who did not see this coming??? Simon got Paula because it would bring in BIG ratings to see the two reunited on TV again. It is beginnning to becoame a bit crowded with all of the reality singing competitions.